Businesses are increasingly creating a broad range of online content for many reasons. Quality content has the ability to educate, inform, generate leads and entice customers. Therefore, it comes as no surprise that the notion of content marketing is gaining ground, particularly in the C-Suite. Lately, savvy marketers are focusing their attention on content and inbound marketing as they strive to enhance their visibility. The right content on corporate websites, blogs and social media can build the brands’ image and reputation. Carefully designed landing pages often use persuasive content which can ultimately bring good prospects through the buying funnel. Therefore, marketers are encouraged to try different formats of content as they engage with customers. Digital marketers should feature content which should be a good fit for their target customers as well as for their corporate objectives. Their marketing content may be displayed on: web pages; online articles and guest posts; blog posts social media posts, eBooks, presentations; customer review content, product FAQs; videos and micro-videos; pictures, infographics, and animated GIFs among others media. The underlying questions is: How can marketers be capable of repositioning their business for search engine optimisation (SEO)? Nowadays, marketers are becoming more measurable in their marketing tactics as they experiment with website design and content variations to determine which layouts, copy text, offers and images may improve their conversion rate. Fresh, quality content on websites and blogs with back-links onto homepages are the basis for successful content marketing strategies. That’s why decent content and flagship pieces should be constantly updated on corporate websites. Content marketing has the potential to raise the businesses’ profile. Another common practice that seems that has picked up in the last two to three years is guest blogging. Many marketers are contributing in blogs and other online media on subjects which are usually related to their niche. These contributions often contain a back link to their site. Interestingly, this trend has become a very effective way to accomplish marketing goals. However, guest blogging is easily abused where there is poor quality content on low-end sites. Branding and reputation management are some of the other good reasons why site-owners and entrepreneurs should use guest blogging sites. Guest blogging has a wider reach. It promotes content to new audiences. The most appealing content can drive traffic to websites. Content may generate leads and followers as there is more engagement with customers. Therefore, guest blogging may be considered a good tool to build brand equity. Businesses ought to choose relevant sites to associate themselves with. Content is of limited value if no one knows about it. Although content can be found through organic search queries, marketers can add fuel to their content through strategic promotion and integrated marketing communications. Again, this will inevitably bring many benefits including lead generation and better conversation rates. In addition, social contagion and product virality can also affect diffusion across online media and networks. This way, businesses can reduce their dependence on search engine optimisation for their content marketing. 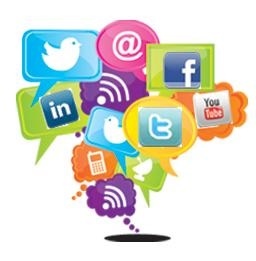 • Social Media Marketing: Content can be promoted through social channels and viral marketing. Businesses need to simplify social contagion by including follow and share buttons. These plugins can possibly encourage the readers to share the content they liked. • Engage in Trending Conversations: Businesses can connect their content to wider conversations through the use of hashtags in order to promote their content on certain social media including Facebook, Twitter and Instagram among others. • e-Newsletters: Subscribers to blogs or corporate websites may have different expectations. From time to time, businesses may send out round-ups of quality content (their very own as well as other bloggers’ curated content). • Targeted Outreach to Influencers: Marketers have to keep themselves up-to-date with the latest developments in their field of expertise. It is in their interest to actively engage with key influencers on social networks. • Direct Engagement with Consumers: Online content should be relevant to audiences. The most attractive content is mostly shared through personal emails and across social media networks. This online activity has the ability to generate leads and it can truly enhance conversion rates for more customers. I wonder how effective content marketing is now everyone is doing this and causing information overload for the consumer. Agreed. Nowadays, there is information overload for the consumer. That’s why marketers should create high quality content. Somehow, they ought to stand out from the rest of the pack! Wonderful post!! Thank you for sharing. Content is king in today’s marketing to generate Lead Generation for economic development. Substantia Mea · This is the official blog of Dr Mark Anthony Camilleri, Ph.D. (Edinburgh). He's an academic, author, editor and business advisor.